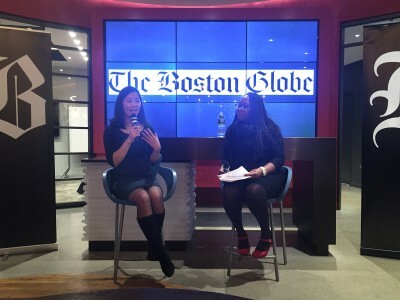 Boston Globe reporter Meghan Irons hosted an intimate conversation with new City Council President Michelle Wu Monday at the Capitol One 360 Café at 799 Boylston St. The crowd of about 45 included young professionals, homeless shelter directors and even some retired residents. Wu began the conversation by describing a typical day in her life as City Council president. Wu said she likes the balance between the “big picture” and the “nitty-gritty,” but her main responsibility is being a resource for her colleagues. Some of the policy goals Wu discussed included criminal justice reform, environmental initiatives, education and housing. Wu said members of city government are responsible for this movement’s momentum because they are closest to those affected. When asked about the “mood” in City Hall, Wu said that she hopes to maintain a good relationship with both Mayor Martin Walsh and the City Council. Wu grew up in the suburbs of Chicago, where politics were hardly part of her life. She is the daughter of Taiwanese immigrants and a granddaughter of immigrants from China to Taiwan. As the product of a family who fled from government oppression, Wu said politics were never a part of her family’s conversations. Several attendees said that the conversation was a good way to promote a connection between policymakers and Boston residents. Aubre Carreón Aguilar, 29, of the West End, said she was impressed that Wu is trying to engage with citizens. “Being civically engaged is important and something that is accessible to everyone, and she’s taking that extra step to do that,” she said. Attendees also said they were inspired by Wu’s accomplishments and her goals for the future. 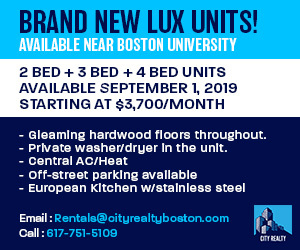 Rachel Lake, 23, of Jamaica Plain, who is also an administration and technical assistant at City Hall, named affordable housing is the most important issue that Wu discussed. 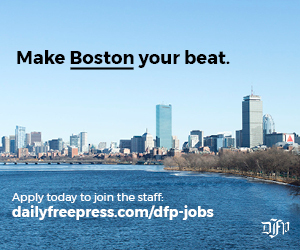 Leah Campbell, 23, of Jamaica Plain, said she wished she had heard a response to Boston’s recent ranking as the city with the most income inequality in the United States. “While she did talk about the amazing work she’s done with paid family leave, there wasn’t as much focus on income inequality, particularly between men and women,” she said. However, Campbell was particularly inspired by all of Wu’s accomplishments at such a young age. “Knowing that there’s someone there who really understands the experience we’re having in a position where she’s communicating with really important people is really nice to know and really important to hear,” she said.